General maintenance might be described as "infrequent housekeeping." A general maintenance activity often requires a bit more skill than housekeeping and uses specialized equipment. Typical general maintenance activities include stripping and re-waxing floors, re-painting walls, spring planting of flowerbeds, sweeping roads and parking lots, and steam cleaning carpets. General maintenance improves or preserves the appearance of the facility and is accomplished at discrete intervals based on seasonal considerations, accumulated experience, or aesthetic preferences. If general maintenance activities are neglected, premature failure of the facility component may result. Also included within the category of general maintenance are "nuisance work" items such as replacing faucet washers, tightening loose door or window hardware, adjusting doors, replacing lightbulbs, and lubricating hinges. The need for general maintenance is most frequently identified and reported by the facility user. Therefore, facility management should establish a formal system for reporting the need for general maintenance and have an established procedure to carry out the required task. General maintenance activities are rarely critical to the operation of the facility, but if they are ignored, serious problems usually arise. A suitable objective for general maintenance might read, "promptly respond to and repair minor discrepancies in facility functions." Preventive maintenance is any work performed on an operational device or in the facility to maintain continued operation at a proper level of efficiency without interruption. Preventive maintenance activities are performed at regular intervals, usually by a skilled health professional or staff member who uses the equipment. Preventive maintenance is different from general maintenance, as the latter is carried out on a set schedule. The interval between preventive maintenance actions on a particular component is determined based on the manufacturers’ recommendations. When preventive maintenance is continually neglected, dramatic and costly failures often occur. Preventive maintenance reduces operating costs, increases equipment life, and avoids program closure for repairs. A formal preventive maintenance program should be a high priority. A suitable objective for preventive maintenance might be, "based on manufacturers’ recommendations, establish a program of routine inspection and servicing of equipment to prevent premature failures." All dental equipment requires preventive maintenance. This list would include dental lights, dental chairs, handpieces, X-ray machines, automatic film developers, autoclaves, air compressors, and dental vacuum systems. Depending on how the clinic is equipped, there may be other equipment that needs preventive maintenance. The manufacturer of each piece of equipment provides information on the care of the equipment supplied. This information should be included in the preventive maintenance plan for the dental clinic. Some preventive maintenance is required daily, weekly, monthly, or at longer intervals. The director of the dental program should develop a preventive maintenance schedule for all dental equipment that is based on the manufacturers’ recommendations. Clinic staff should be assigned duties as needed for each piece of equipment. The director needs to periodically check the maintenance sheets to ensure that necessary actions are taken. Click here to view a matrix of dental equipment and the equipment’s suggested preventive maintenance schedule. In rural settings, it is often difficult to get timely repair service for dental equipment. This can cost the program in terms of lost revenues due to the unavailability of a dental operatory. Repair costs, which are expensive to start with, are increased by the charges for travel time of the repair person to and from the location. One or two members of the dental staff should learn how to perform basic repair of the dental equipment used in the clinic. Most dental equipment manufacturers offer repair courses for staff and support a toll-free telephone line to answer repair questions. Research this when determining which equipment to purchase. Keep the most needed parts on hand so they are readily available when needed. When staff attend a manufacturer’s repair maintenance course, this list will be provided. 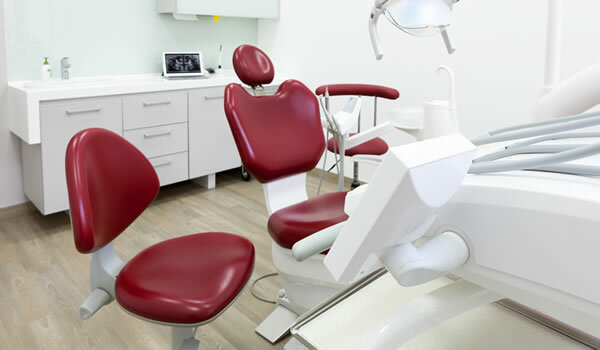 Often a dental clinic will enter into a maintenance and repair contract with a local dental supply company. This can be cost-effective if the company is close enough to minimize travel costs. These contracts ensure that all preventive maintenance will be performed and that failure does not take away staff time from providing clinical care. They also offer a discount on all repairs and usually ensure prompt repair service.